Do you want to really start longboarding but feel hesitate and can’t understand where you should begin? Don’t be frustrated. Even the greatest long-boarder didn’t know the basic of longboarding from his/her initial stage of starting. longboarding is tough for the beginners indeed. Obviously, you need a lot of practice but it would be great if you start under the supervision of an expert. Before starting your adventures, you should have a clear concept of the basic of longboarding to avoid unexpected accidents and occurrences. Without no more ado, let us start. First thing first. You need a board first but almost every beginner has a contradiction to choose the right one for him/her. Actually, the right boards vary from person to person. It depends on the age, size, skill set and riding goal of an individual. First, you need to check out whether you are skate goofy or not. It is important to figure out to understand the level of your regularity. If you Skate with the left foot forward meaning you are regular. On the contrary, skating with right foot forward means you are skate goofy. To check whether you are skate goofy or not, you can also consider your football kicking power. once you have decided your strongest side, just go on to the longboard. Before getting moving, you should capture the balancing skill in a static condition. In the very initial stage, choose a grassy field or thick carpet to practice safely. It helps you to balance the board with the assist of friction that prevents the rolling of the board. Your front foot should be angled around 45 degrees with the deck while your back foot should be the perpendicular position while learning to balance. The position of your feet on the longboard is one of the leading factors in the initial stage. Most of the people can’t figure out the feet position on the board and become fail in almost 80% of the cases. Whether you are a goofy or not, you should place your front feet just behind the screws. As for the back one, you should place it just in front of the rear screws. Keep your front feet straight like 90-degree angle while pushing the board with your back feet. It helps you to balance your body and prevents wobbling. Many of the beginners keep their back foot behind the rear screws while running the board. unfortunately, it is not a good practice and not recommended for the beginners. It makes your board lifting due to an imbalance of body weight. So, for the beginners should follow the standard rules at the initial stage of learning. Turning your board isn’t a complex and hard job. You can turn your board while running with two simple tricks known as toe edge curving and heel edge curving. you can turn left using your toe edge curving that dips your toes inward position. Similarly, using the heel edge curving you can turn right that dips your heels backward. Just make sure that you are in regular position while doing this stunt. Learning how to brake is the prerequisite of running a longboard for your safety. It is not a very tough job. You can stop your board dropping with your back foot. In case of slow movement, you can easily stop the board dropping your back foot. To stop the board, don’t use your toes. Just use the bottom of your shoes. Whether you are on a longboard or other board games, it is really important to learn how to fall. Getting a silly injury is not a big issue in board games. Learning fall or rolling helps you to avoid major and serious injury. So, don’t fear to little rolling. It is not mandatory to know every function of your longboard. To understand the need for wheels, bearing, trucks or any parts of your boards’ primary knowledge is necessary. You will find a lot of YouTube videos regarding it. A partner is a helper as well as a motivator to keep the passion at the end. In the initial stage, your partner will push you to attain the balance and stability over the board. you will be a master after practice and practice then you are ready to go around your town and show your passion and skill. When you are at the very beginning stages of learning, the following precautions should be strictly kept in mind to avoid the unexpected occurrence. Never forget to wear a helmet. Wear the safeguards like knee pads, hip pads, and elbow pads. Wear leather or suede made shoe. Don’t try on the uneven surface like a hillside. If you fall try to roll to avoid severe injury. Try in a calm and free road. Don’t try the advance twists at the beginning stage. 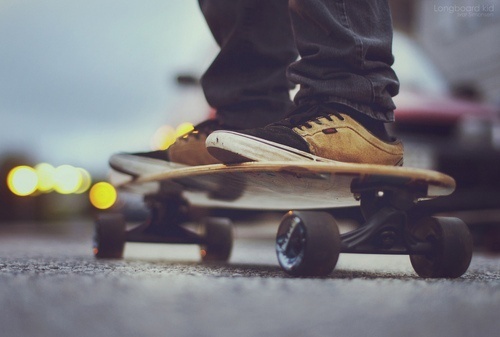 Longboarding is a popular and adventurous outdoor game nowadays. It’s a great way to refresh yourself as well as maintaining good health. If you follow the above rules, as a beginner, you will able to run your longboard smoothly. After practicing for a certain period, hopefully, you will be the master over your board. If you are more interested to know about longboards that are the best fit for the beginners you can read our most popular write-ups naming longboard for the beginners, how to ollie on a longboard, how to prevent longboard accidents.